CYC Seattle - Holiday Party & Dance (21+) - it's a go! Holiday Party & Dance (21+) - it's a go! Tickets include DJ and hearty appetizers! 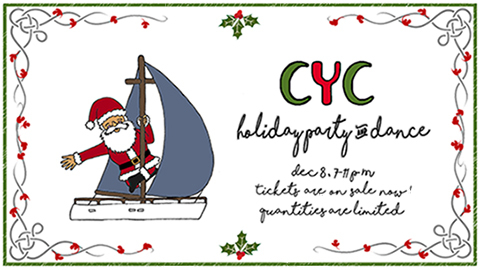 'Tis the season to put on your festive attire, dancing shoes, and party at CYC. Members and non-members welcome. Ticket price includes professional DJ Ron Bolton, dance lessons, plenty of hearty hot appetizers, and a special holiday drink. Purchasing note: # of guests should be In addition to yourself. So, if you are a party of 2, enter 1 for guest.